SHINEE JONGHYUN [BASE] 1st Mini Album CD (Green or Wine Jacket Cover) + a Photocard + a Poster (one of two versions) by at WA Tunes. Hurry! Limited time offer. Offer valid only while supplies last. 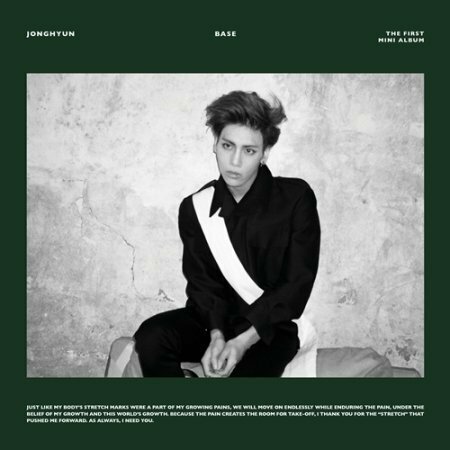 SHINEE JONGHYUN 1st Mini Album [BASE] Package consists of CD (Green or Wine Jacket), a Photo card (random picked) with additional photocards set.